Wall sconce with three fixed arms. 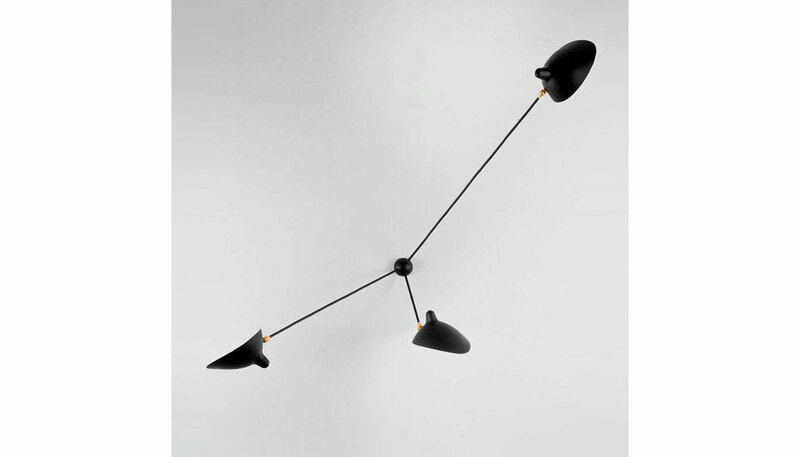 Each lamp shade tilts and swivels to allow for greater flexibility. The shades have white interiors. Available in black or white with brass fittings. Price includes delivery to the USA. Manufactured by Serge Mouille in France. Arm Lengths: 16", 34", 43"